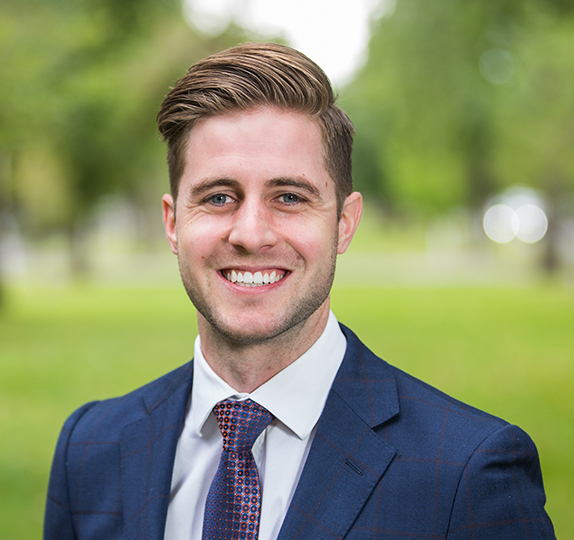 Selling over 100 properties a year, and recognised as a top 5 Harris agent in 2016, 2017 & 2018, Callan Eames’ contribution to team success, alongside Simon Noakes, has also seen him awarded Number #1 in local sales for the Western/Coastal region by The Real Estate Institute of South Australia. Simon & Callan, along with the rest of the Harris team were fantastic throughout our house sale. From the initial consultation and throughout the marketing campaign we were kept informed and without Harris I doubt we would have achieved the result we did. Thank you. Ray and I have had the pleasure of selling our home recently. We previously heard countless times how house selling is so traumatic and difficult in one’s life, however, our experience was quite the opposite. Having Callan as our representative, our short journey went very smoothly. Callan was extremely professional and understood what our needs were. He is a fantastic communicator, passionate and hardworking in his approach to his duties. He was very meticulous in regarding how the house was presented for the photos and the results were fantastic. He gave us accurate and up-to-date information regarding our sale. Telephone calls, text, email were always returned in a timely manner. The sale of our house was a joy and delight, we would not hesitate to recommend Harris Real Estate as selling agents, and ask for Mr Callan Eames to be our representative to friends, family and anyone wanting to sell their home. He is polite, courteous, knowledgeable, friendly and very approachable, an excellent asset to the Harris team. Callan Eames was a fantastic agent and also the whole Noakes team who went above and beyond to sell our house. I cannot recommend them enough. The follow up support was very good. Callan was willing and helpful, enthusiastic and personable. I believe Harris are the best marketers in the business. I’ve been extremely impressed by the results they have been able to achieve for me and they are a polished, professional team that’s a delight to deal with. Service from Callan was first class, his communication and help in all areas made selling the property easier. As a purchaser who was looking for sometime, I had come across several agents who all had different personalities, some were just so hard to deal with. As soon as I met Callan I felt he was not only friendly but so genuine and had both the vendors and purchaser’s interests at heart. No question was ever too hard for him to answer and his contact with me during the entire period was beyond my expectations. He kept regular contact with me even after settlement to ensure that all was ok and whether I had any questions or concerns. He is enthusiastic and driven and that is why he is one of the best if not the best in this field. Callan was brilliant in all aspects of the home selling process. He supported us in getting our property ready for sale, guided us through the process of presenting and marketing and also helped us with valuable information when buying our new home. He certainly exceeded our service and price expectations. We honestly feel so lucky to have had Callan in our corner and will be forever grateful to him and his team. Will absolutely use Harris again, in particular Callan, as he went above and beyond for this sale. Very happy with the entire process. As a buyer, our previous experience had been that many agents weren’t too interested in our needs or in updating us on the progress of a campaign. Callan was the completed opposite to this – he engaged with us at open inspections, regularly followed up with us during the campaign/after the auction and was at all times so friendly and professional in his dealings with us. I could not be happier with the professionalism and honest feedback of my agent and his team, I was informed all the way about every aspect of our campaign, the professional nature of Harris real estate is second to none in my opinion, I would not hesitate to recommend Harris Real Estate to my family and friends, also there is no other company I would use in the future for myself for my next purchase or sale. Thank you so much again Harris real estate team. Happy, Happy seller right here, and I believe 100% I would not have achieved the above average result I got for my home had it not been for the awesome hard work and effort of my agent Callan Eames and his Team. I would like to thank Callan Eames and the whole team at Harris Glenelg for their advice and work with regard to the sale of our property. It was certainly not a straightforward sale but Callan and the team remained highly focused, professional and responsive throughout the process. In the end , it was a job well done and I would not hesitate to use them again or to recommend them to my family and friends. We enjoyed the process of selling our lovely 1880 symmetrical cottage through Harris Real Estate. In particular Callan Eames who almost became a family member and we will miss his friendly calls to see if everything is going well with us. Michael was also very supportive. It is really easy and relaxing to deal with Callan Eames from Harris Real Estate. He is also very intelligent and able to market our house with the best of our reserve price in this tough time of real estate. I am very happy and satisfied with the result of the sale. I like to thank Callan Eames for his intelligent and hard work for looking after me. Yes I would highly recommend Harris Real Estate to anyone. It is a real pleasure to meet them.